Twitter will now deliver you the best, most-shared, 140-character messages in a daily email digest. Though there are already third-parties that offer this kind of newsletter service, this is the first time it will come straight from Twitter. The message will include the top stories of the day, as well as the top posts from people you follow. 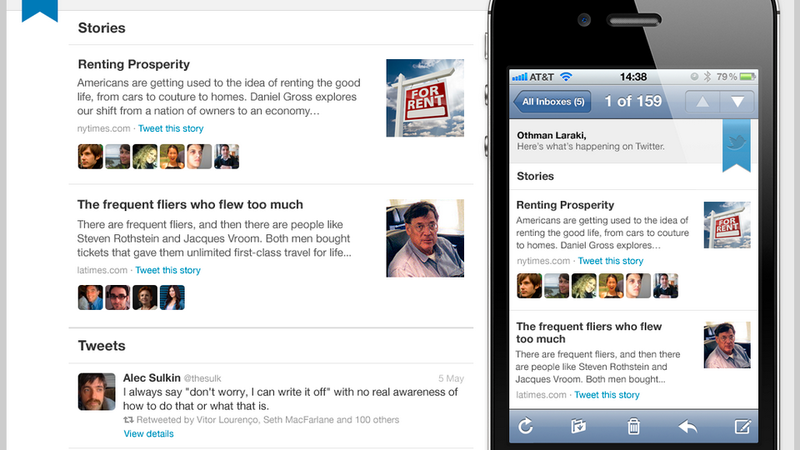 Links will lead you to these articles, and you can tweet your own two cents right from your inbox.